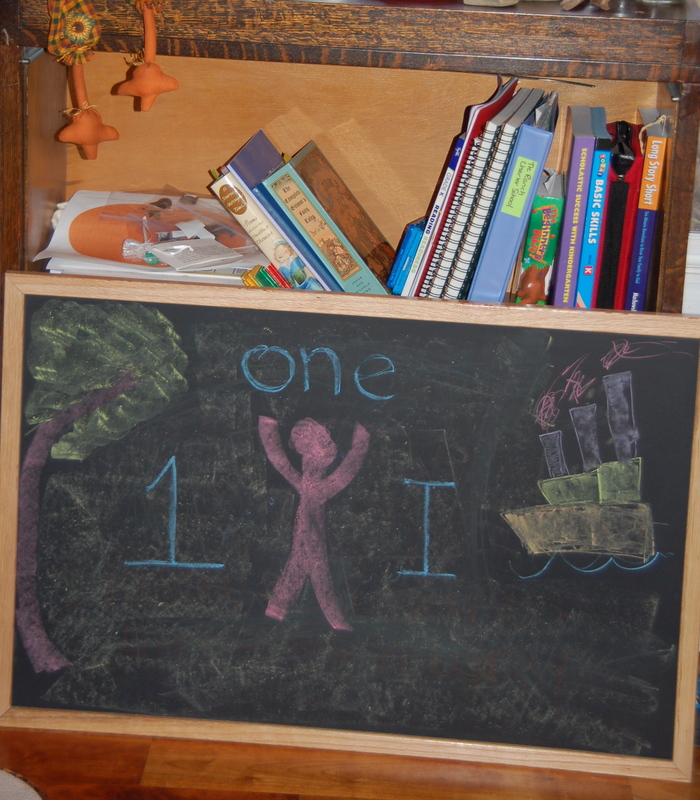 As a homeschooling mama, one originally rooted in Waldorf, teaching math to a rambunctious visual learner can be daunting. I began in Waldorf, teaching him the Quality of numbers. This was a beautiful idea to me, I enjoyed trying to create a way to touch him with this idea. Perhaps I should have persisted. Or, perhaps I was correct in knowing that this was not the right way for my boy. So, we moved on to something more tangible. I mentioned earlier, that Isaiah is a visual learner. A very visual learner, and so, I decided to give a program called MathUSee a try. This turned out to be fairly more successful. Up until this point, Isaiah had a great deal of difficulty understanding numbers past 10. The shear nonsensity of their names made it almost impossible for him to decipher. Eleven? Twelve? What do these things mean, he wondered? Even further down the line was the elusive twenty and thirty. If you let him count un-interrupted he could count to 20 by rote. However, if you asked him what came after 10? Well that was another story. Often when rattling off his numbers eleventytwo came after 19. Because what was 20 anyway? MathUSee really helped him to understand the “quality” of numbers in a way that was completely comfortable to him. 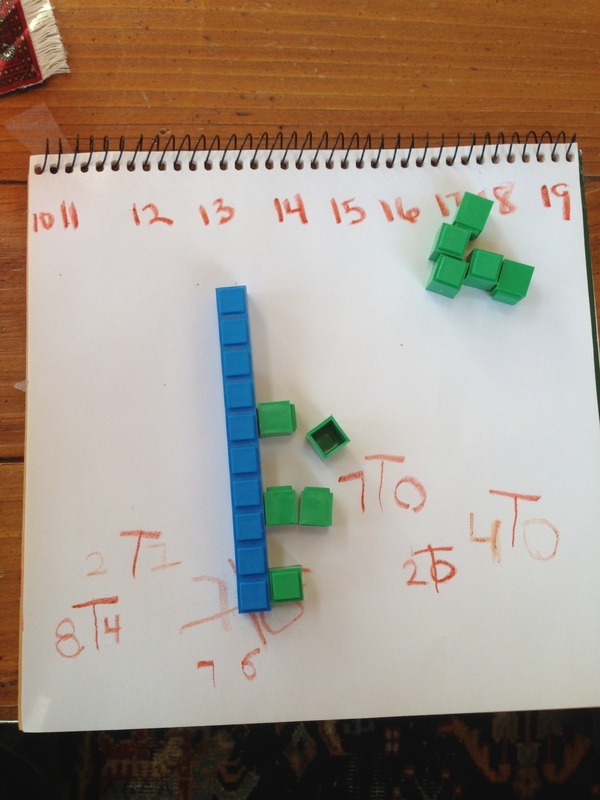 Using blocks of different colors, he began to understand the significance of the placement of numbers. That where a number falls on “decimal street” determines how you say a number. The blue bars represent the “10’s” the green blocks represent the “units” or “ones”. Here he is building the 74. He is learning that the placement of the 7 is the same as 7 “tens”, the placement of the 4 is the same as 4″units”. For every number we learn, he is learning the “quality” of that number. 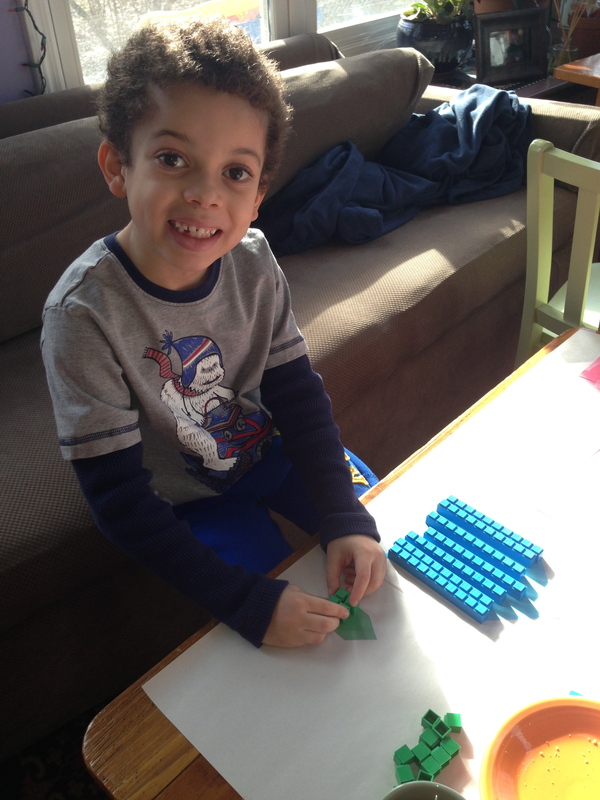 Isaiah started to like math, he began to enjoy “building numbers”. Of course, every once in a while those blocks became make-shift legos, and math turned into an airfield and landing planes, but that’s OK. To me that was a sign that he was on over-load and we should come back to it. Admittedly, MathUSee is not as beautiful as the Waldorf way. However, I believe now that I have a grasp of MathUSee, I can find a way to blend the two. Yes it is un-orthodox. Yet, I still continue to see the beauty in Waldorf every day, and my desire to keep it’s learning style as part of our lives is very strong. Once I find the best way to reach him, it seems I can back into where we should be with Waldorf. I read a very inspiring post today by Sheila at Sure as The World. It was an example of learning the Grade 1: Four Processes. She has definitely inspired me to go back over my Waldorf curriculum and see how I might link back in the beauty of the story telling to explain the four processes. Thank you Sheila! I will let you all know how it goes!